It snaps, crackles and pops louder than any device I’ve used before. Weed is good for people who like to drink, too. It doesn't rot your liver or give you diabetes but does essentially the same thing—takes you away for a bit without much fuss. That's why it's always good to have some flower in the house, if coffee and other soft drugs are part of your daily life. 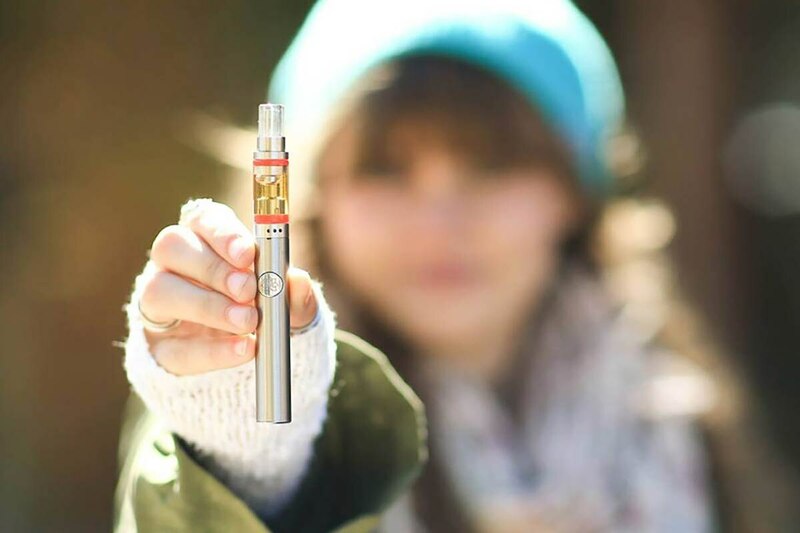 But when it comes to oil, you're not just storing buds for safekeeping, you're adopting new technology, and you need to put some checks in place to avoid misuse. As new tech is changing our brains in ways we aren't fully aware of yet, introducing yet another innovation that expressly serves to get you stoned at pretty freaking high THC levels should be taken with caution. You want a brand you can trust. I'm all about brand loyalty in my life—I like to stick with what works. I smoke Five-Zero Trees, I have a Pax oil pen, and I'm good. I trust them, because their stuff is quality. I'd add Orchid Essentials' vape pen to the list. The packaging tells you all you need to know—that the flavor profile is Granddaddy Purp, an indica; the terpene content is 15 percent; I will experience a calm body high; and that it is best suited for nighttime. Whereas normally I would ignore all this as fodder for noobs, after a few sessions, I have to agree with the assessment. Orchid's terpene taste profile comes from the flower the oil originates from. In this case, Granddaddy Purp has the berry goodness I wanted, and brought me the experience the packaging implied it would. Orchid ceramic cartridges are wider than your standard 510 cartridge, so it fits wider atop standard batteries and altogether makes for a hefty, compact unit that fits easily in a breast pocket. Three taps cycle temperature from a button that lights yellow, purple and red, indicating low, medium and high, respectively. The thing is turned on and off similarly, with five taps, which will be a pain for some folks—many, I would guess—who might forget to turn the thing off when they're done. My favorite part is the mouthpiece, which is round and wide like a bubble-tea straw and comes equipped with an essential, perfectly fit rubber top-stopper to keep the pocket lint out. The icing, however, comes after you've toggled the temperature and admired the dalliance of color change to find the right temperature. When you pull, it snaps, crackles and pops louder than any device I've used before. It's almost as though Orchid intentionally mimicked the best features of those hulking tobacco vapes for people like me who think those things look neat but would never again threaten developing a nicotine addiction to try. For those who like consistency, brand is important, especially when threading together disparate parts can be an expensive gamble. Orchid is a great option. BUY: The Orchid Essentials vape pen is available at several Portland dispensaries. Find it online at orchidessentials.com.